I have been busy. I am a PTO President so I have been writing and organizing a Ice Cream Social and Scholastic Book Fair for the past week. I am fortunate to have some fab Moms and Dads helping this year. I think we had 15 helping with the entire event this year. We had our library cut in half to accommodate a kindergarten classroom this year. Love those budget cuts forcing us to consolidate schools. So we lost our Early Childhood Center where all the Kindergarten classes were located in our small city. Very sad but we are adjusting. My 4th grade girls really like have the Kindergarten Kids in the school. They think they are cute and enjoy being reading buddies with the kids. On Fridays they have a reading buddy and can go down and take them in the hall and read a book to them or help them read a book. It is a nice program. It was so nice to have our Reading Heroes visit and help kids pick out books. I was pleased the Principal allowed me to show them my book. I am hoping one day my books will get into the Scholastic Book Fairs. We had a ball at the Book Fair. We had to make changes. We had a scaled down version in the Library for two days then took it down and moved it to the Gym for our Ice Cream Social and Book Fair. It went smoothly(meaning everything went as planned) and was a blast. It was great to be able to chat with other parents we see in passing in the morning or dropping off for other activities these kids have. I did manage to get some editing done and send my ideas for book marks off to the University Copy center to help with the design. Boy I was tired last night. I was sleeping by 8pm. If any of you host book fairs or other reading events at your elementary schools I highly recommend having Reading Heroes. The kids love it. 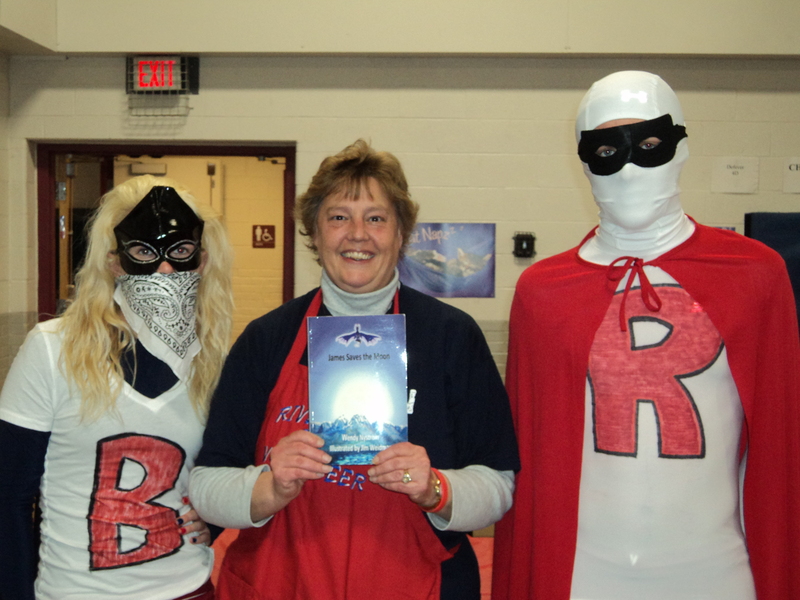 Book Girl and Reader Hero will return in March for March Reading Month. I also received my second illustration for my third book Tomfoolery and 13 Yule Lads of Iceland. Christmas is early for me. It is a Christmas story so I am hoping the publisher can fast track this one. The adventure is so much fun.